Texplainer: What Is a "Point of Order"? Calling a point of order is a parliamentary delay tactic, but it can be a deadly one. Hey, Texplainer: What’s a “point of order,” and can lawmakers use it to stall legislation? A point of order is a parliamentary action that points out a violation of the House rules. It is the House speaker's responsibility to ensure that the rules are enforced, but the point of order allows legislators to interject and declare a violation that has been overlooked. Once declared, a point of order takes precedent on the floor, and the speaker must decide whether there has been a violation before continuing. If the speaker overrules a point of order, business continues as usual. If the speaker agrees that a rules violation has occurred, then the point of order is sustained, which can delay the passage of a bill until the error is fixed. That's what happened to the voter ID bill in the House on Monday. 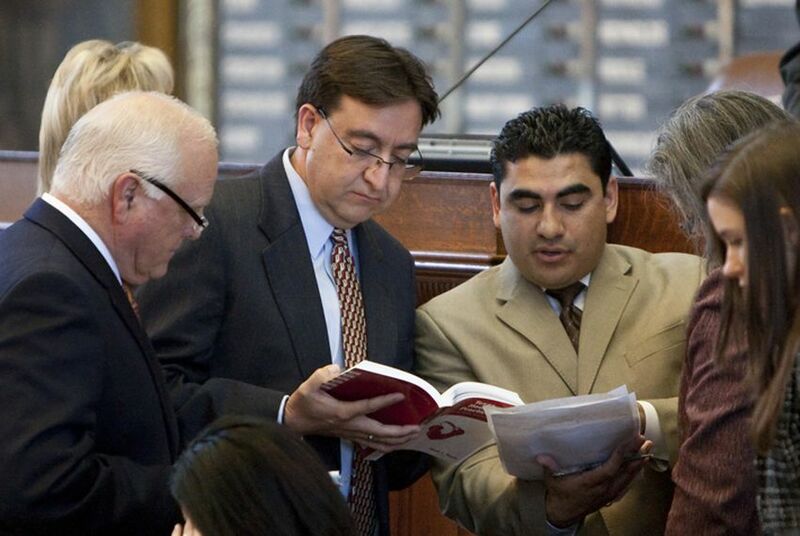 Because the speaker sustained the point of order raised by Rep. Armando Martinez, D-Weslaco, which called attention to the difference in language used in the bill analysis versus the actual bill, the voter ID bill was sent back to committee to clarify the language. Because a bill cannot be taken up by the House until 36 hours after it has been voted out of committee, the point of order delayed the House vote on voter ID until Wednesday. A point of order can potentially stall the process for longer. Debate on a point of order can potentially continue indefinitely, preventing any debate on the merits of the legislation. And points of order can apply to any parliamentary rule, which creates a vast number of potential opportunities to stall legislation. On very rare occasions, a point of order can kill a bill — for example, if it calls attention to the lack of an enacting clause. The Texas Constitution requires all legislation to begin with the words "be it enacted." If a representative notices these words are missing and alerts the speaker with a point of order, the bill will die. Usually these types of errors are caught before it hits the floor. The potential deadliness of points of order increases as the end of the session approaches and lawmakers face deadlines for getting their bills through the process. If a point of order requires a bill to be sent back to committee to be fixed but the deadline to get bills out of committee has already passed, that one is toast. Bottom line: Calling a point of order is a parliamentary delay tactic, but it can be a deadly one.